The emergence of more advanced peer-to-peer lending fintech websites such as Zopa, Ratesetter and Funding Circle are disrupting the business lending landscape and are offering savers more possibilities and better fees and percentages. However, these attractive returns come with risks and this industry is going through a lot of changes and its fast growth needs still a lot of work. P2P lending has been growing in the last years and has doubled in the UK in 2015. As the fintech industry progresses and continues bringing new solutions to the finance industry a clear set of powerful platforms emerged and with it new users and an emerging industry. The growth of P2P Lending will probably slow a little in 2016, as platform consolidation will increase and the IF ISA will bring new investors to the market and political and economic new phenomenons such as the Brexit and Trump president brings new considerations to the world economy and special the financial industry. According to data Sourced directly from P2P platform loan books, and proprietary BondMason research and relationships. Our analysis shows a smaller market than presented in other sources, as we normalise Invoice Discount platforms loan books by an average term of 43 days the P2P Lending market in the UK grew from £1.2bn of new lending in 2014 to over £2.3bn in 20151, and the growth in the 20 “bulge bracket” P2P platforms matched the “big 5” platforms at 90%+ p.a. Peer to Peer P2P lending in the UK is still in its early years and with little more than 10 years old much has to be done. But already its market is crowded with almost 100 P2P lending firms and growing business volumes reaching a level of 70% per annum. It is a meteoric rate of expansion and one which puts P2P lending on a collision course with today’s financial services industry and the way lending is done. Altus Consulting, a specialist provider of consultancy services to the Financial Services sector and launched recently an insightful paper that analyses what is happening with P2P and how traditional firms might evolve to benefit from the change rather than risk extinction. The FCA uses the term ‘crowdfunding’ to cover many different activities, although the market generally distinguishes between ‘P2P’ and ‘crowdfunding’ and there are different flavours of each. The P2P story is really just the latest chapter in a technology transformation that began over 20 years ago. In 1994 the Netscape web browser started a revolution in internet usage providing, for the first time, a public user interface which gave novice users access to the world of the Internet. Soon, portals such as The Exchange, built on this new infrastructure to launch services for advisers to generate quotes and comparisons online. The impact of straight-through-processing (STP), online quotes, comparisons and underwriting has been huge and transformed the financial services industry, spawning hundreds of new businesses, cutting costs, increasing efficiency and empowering advisers and companies as well as users and lenders. Then, at the turn of the century, we saw the next wave of technology power the new wrap platform sector offering direct access to a whole new universe of investment options. 16 years on the platform sector has changed the investment landscape and now accounts for around 80% of intermediated investment business. In the last few years the rise of mobile and cloud-based computing has made new ‘crowd’ based business models possible and few people doubt that firms like Airbnb, Uber and Amazon represent a fundamental shift in how our retail economy works. At their heart, these businesses bring consumers closer to the end product and now P2P is set to do the same for financial services. Everyone will be affected: wrap platforms, fund managers, insurers, banks, credit card providers, advisers, the regulator and everyone in between will all need to adjust. Much like the K-T mass extinction event when it’s believed a meteor hit the earth, it wasn’t just the dinosaurs that became extinct but most of the food chain! After that event, evolution changed course and nothing was ever the same again. 2. 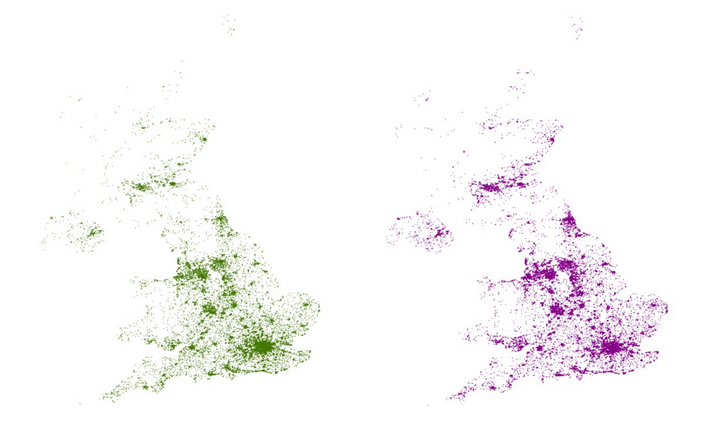 The emergence of aggregators providing a ‘one stop shop’ with access to multiple P2P services. There are many companies and supermarkets that offer peer-to-peer, lending and borrowing services within the UK. Zopa was the pioneer in this field, but now there are growing number of others. 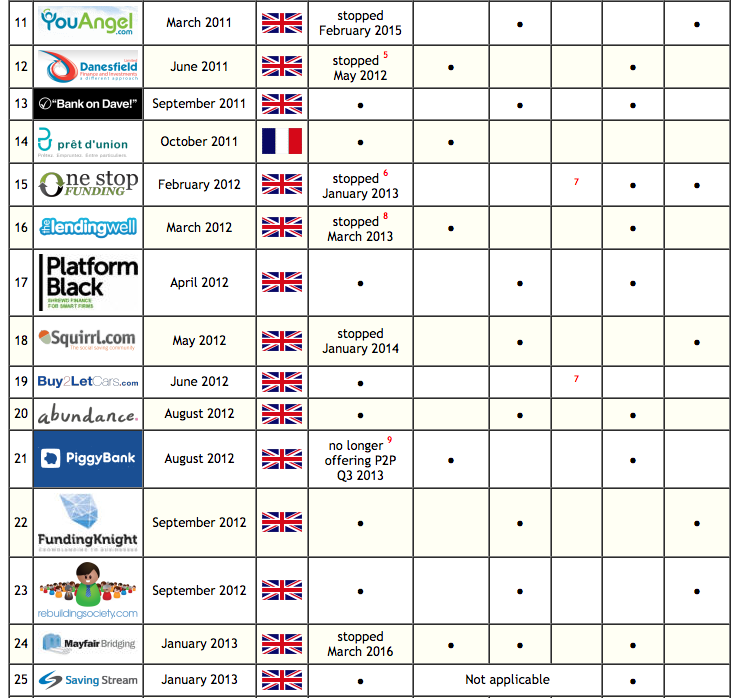 Below is a summary of the attributes of all peer-to-peer companies within the UK, listed in chronological launch order. A very good research about the P2Plending platforms! Some people think this is brand new, however fintech has been here for a while and will have many years to come, as long as the crowd continues supportive. I´m glad to see one of my favourites, rebuildingsociety.com which helps creditworthy UK SMEs get support for their plans. There are several platforms with different objectives: real estate one, P2P, or P2B… I personally support the SMEs because they are the backbone of the UK economy. Choose wisely!